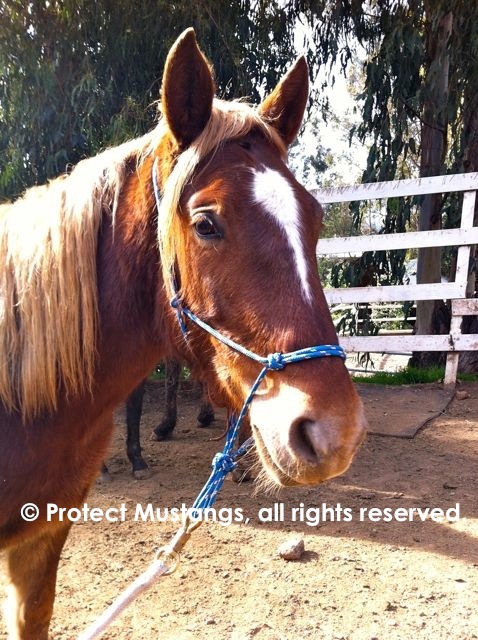 Today she is safe and part of our outreach program because we stepped in to save her life with the help of her anonymous sponsor who has been making this rescue possible. 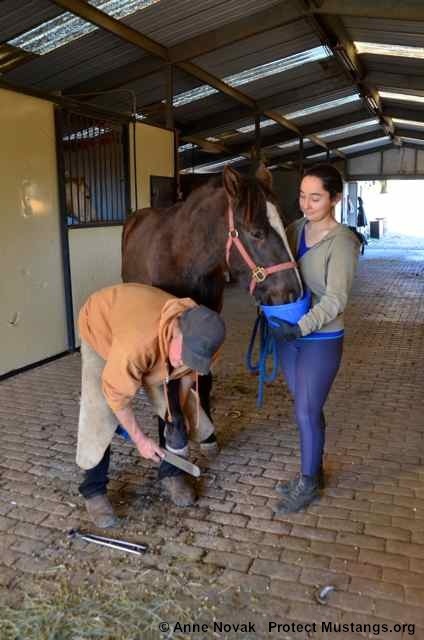 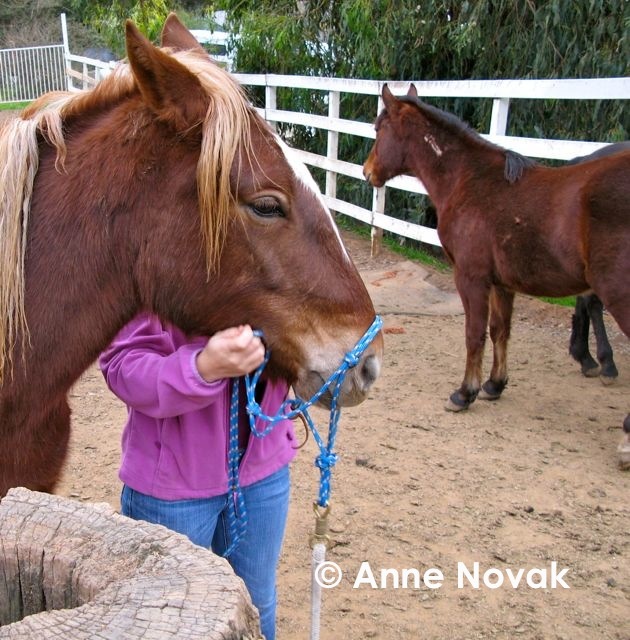 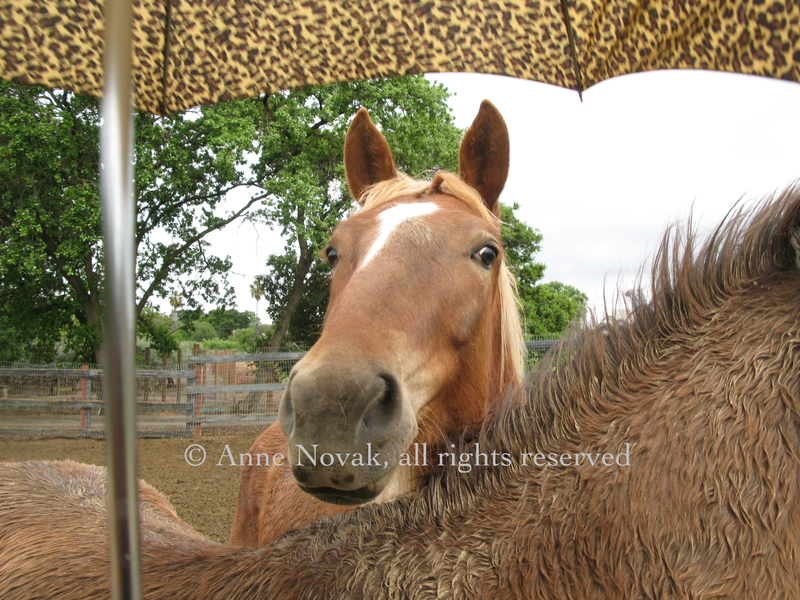 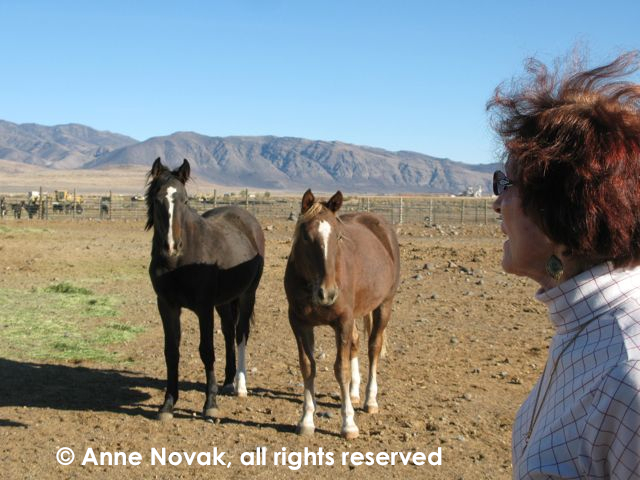 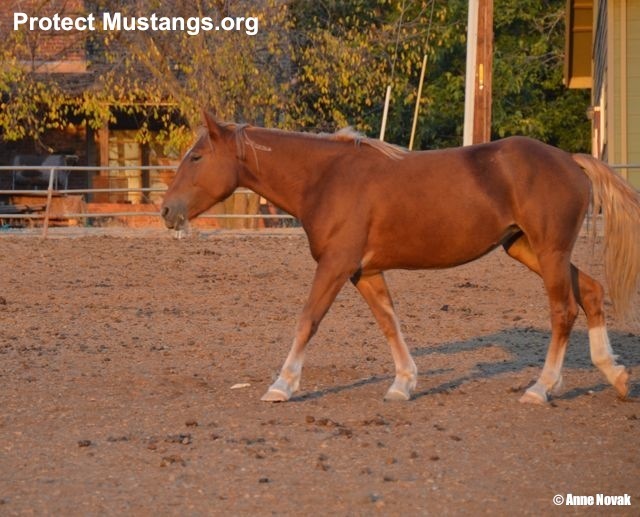 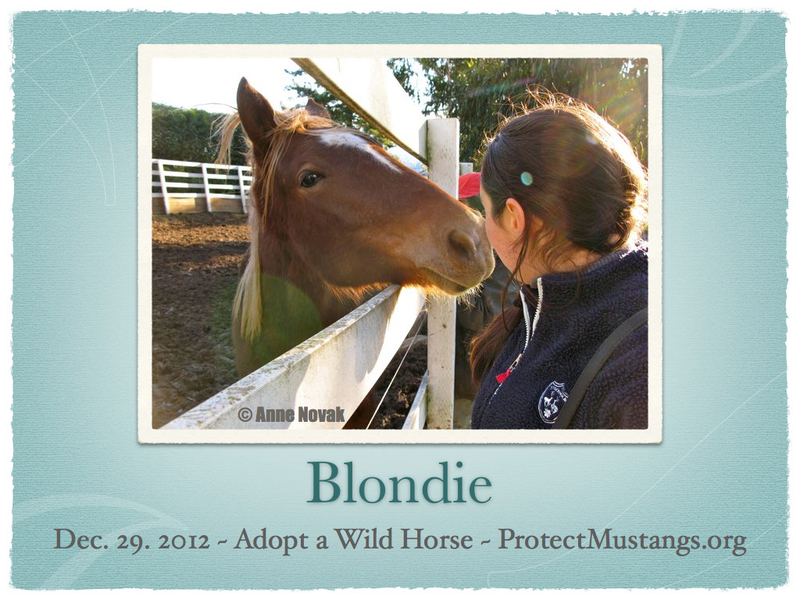 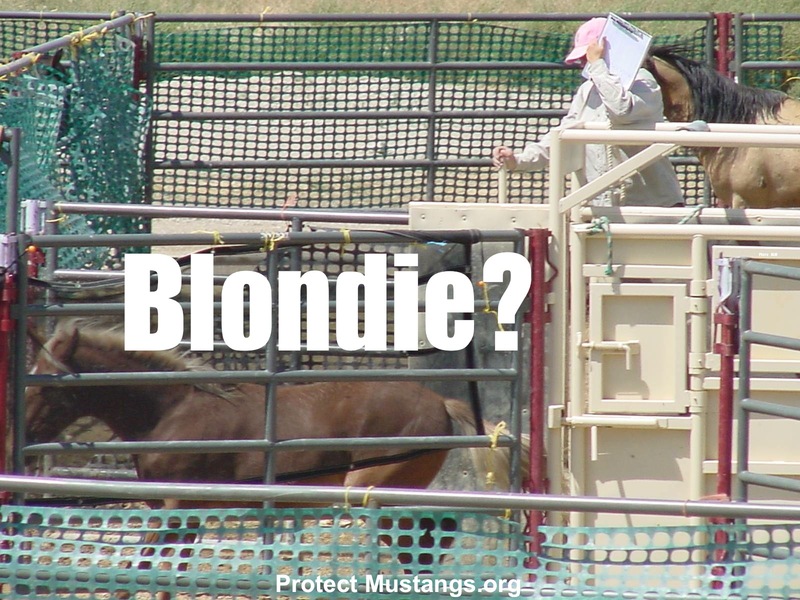 We are 100% volunteer and so grateful to help Blondie and other American wild horses . 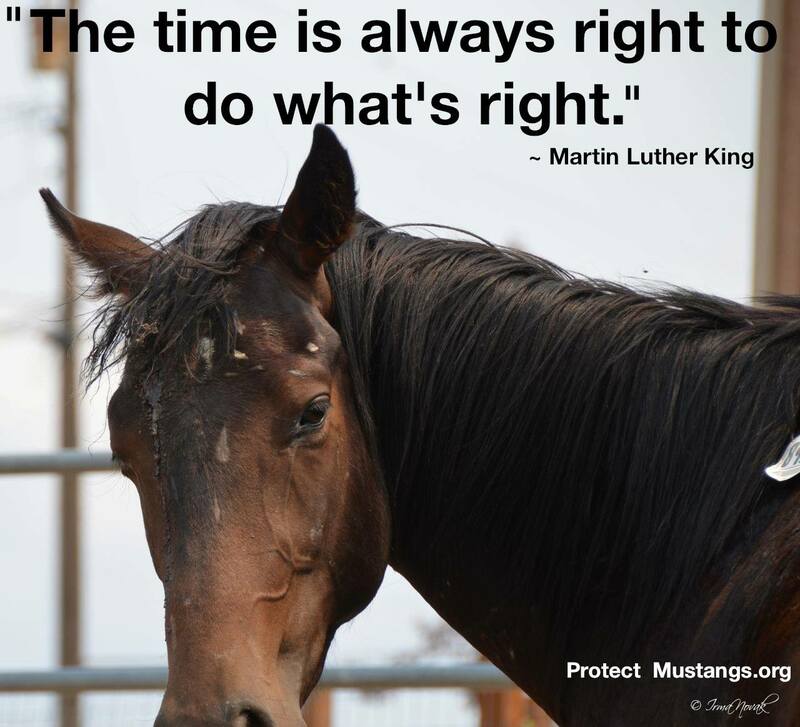 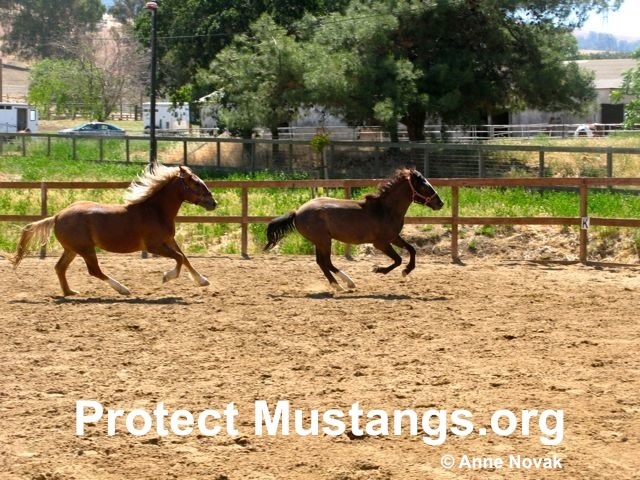 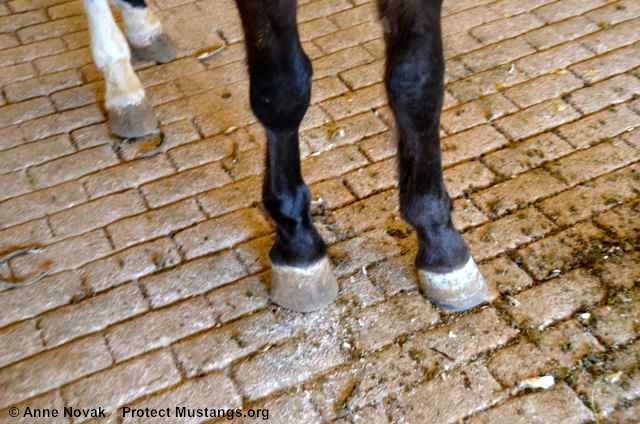 We prefer for wild horses to remain wild and free but now there are 50,000 wild horses in government holding who are at risk of going to slaughter if the BLM’s Advisory Board members get their way. 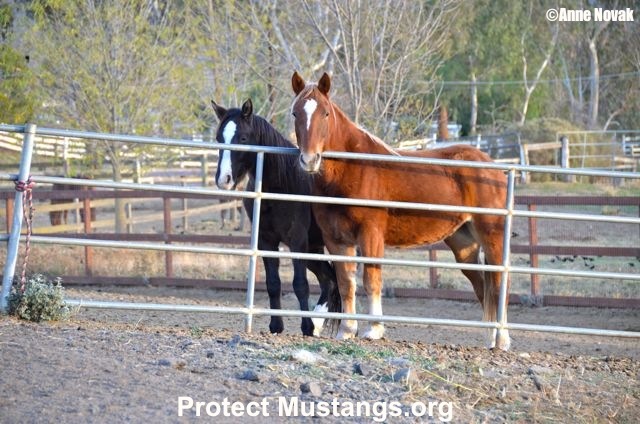 We have adopted Blondie and Tibet because as yearlings, they had already accrued 2-Strikes and were facing a dangerous 3rd. 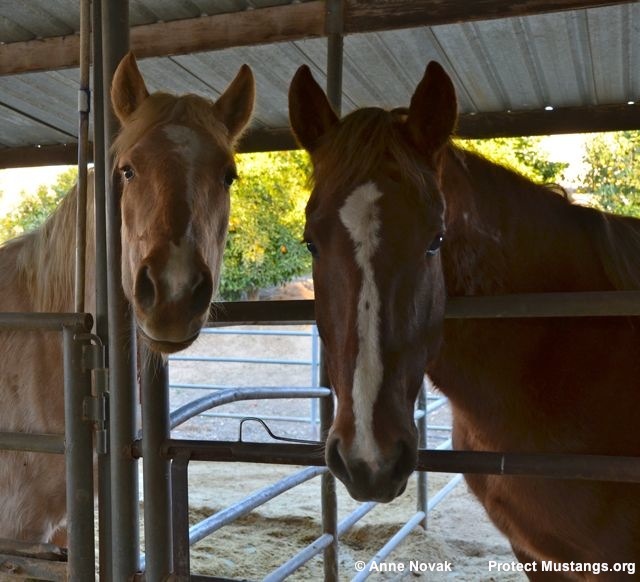 We stepped in to save them from being sold for $10 a head by the truckload. 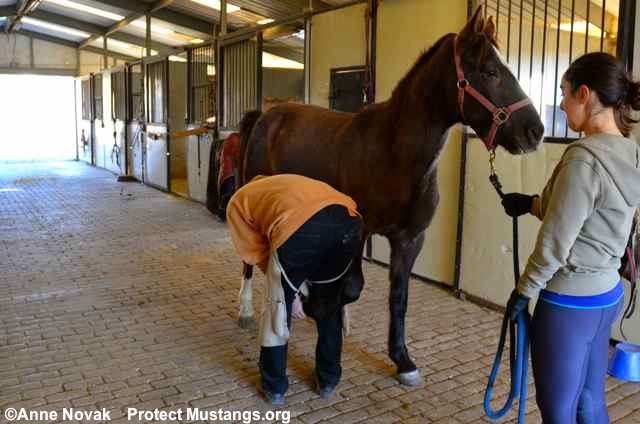 It’s important to expose your wild horse to many different situations. 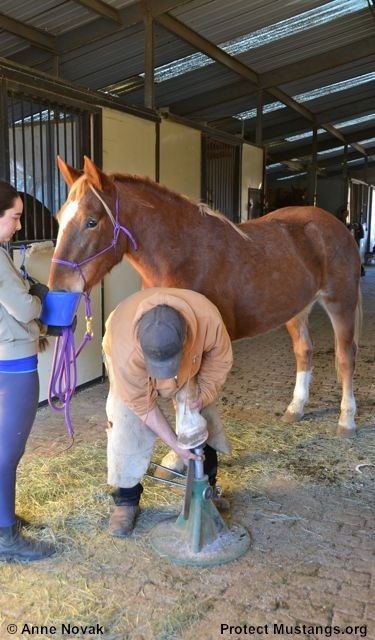 Enjoy being creative with their training.